Be sure to check out the series. Witch’s Bounty, Witch’s Bane, and Witches Rule. 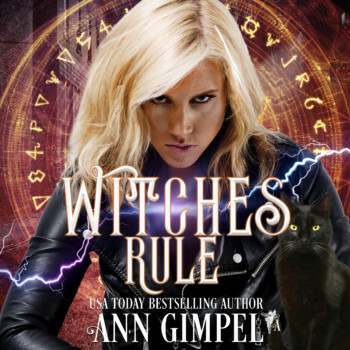 Jenna’s a special witch, sort of, when her magic works, which it often doesn’t. One of three remaining demon assassins, she and her sister witches, Roz and Colleen, are Earth’s only hedge against being overrun by Hell’s minions. On the heels of Roz’s and Colleen’s weddings, Jenna is headed for the U.K. when a demon confronts her. Any other witch could teleport out of the plane, but not her. Frustration about her limited power eats at her. It would be pathetic to get killed for lack of skills a teenager could master. So glad to hear hubby pulled through alright. I know after I had my heart surgery I was so so much better, hard not to do too much at first. Take care of yourself and hubby, till next time.